For today’s hike I went back to Don Weise’s Circuit Hikes in Harriman. Last summer I tried several of his hikes and I really enjoyed the variety of what he had to offer. 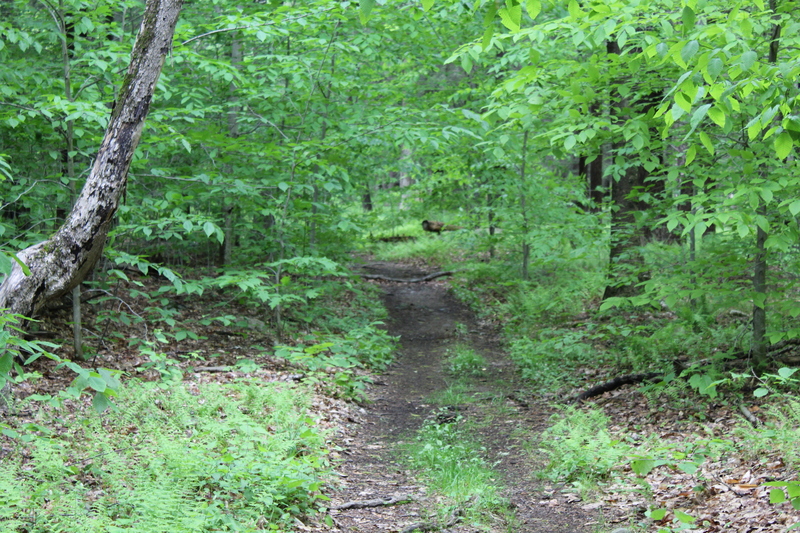 This hike, starting at the Lake Sebago boat launch, stayed primarily on woods roads. Despite a steady ascent right after you turn on to the road from Seven Lakes Drive, the rest of the hike spent more time rolling through the woods rather than climbing unreasonably steep hills. Along with some walking in the general area of the lake, this hike measured 10.1 miles. Since it is covered in detail in chapter 32 of Don Weise’s book, I won’t spend much any time going into the logistics of the hike. Instead, take a look at the pictures that I took along the way. An awesome sign about a mile into the hike. A snake on the trail. This entry was posted in Uncategorized and tagged Circuit Hikes in Harriman, Cranberry Mountain Trail, Don Weise, Harriman State Park, Henry David Thoreau, Hudson Valley Hikes, Hudson Valley Hiking, Inner Peace, Music, peace, Photography, Pine Meadow Road, Second Reservoir, snakes, technology, thoreau quotes, walking as meditation, wilderness photography on July 18, 2017 by The Zen Hiker.